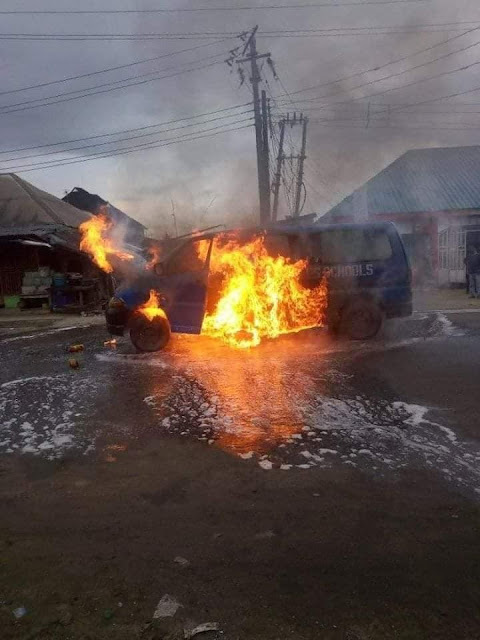 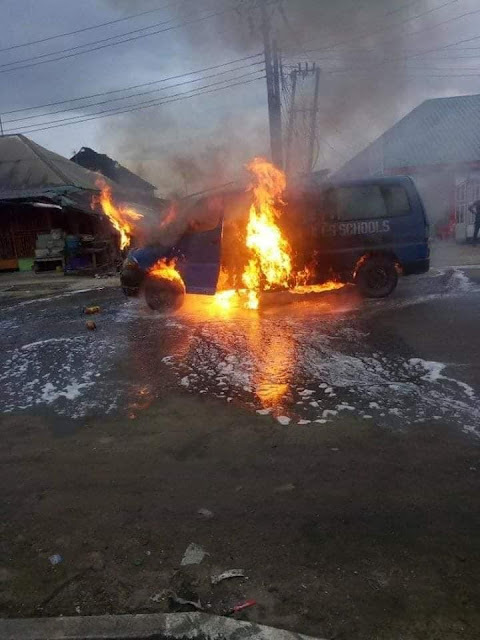 A tragedy was averted in Rivers state on Monday after a school bus went up in flames. The bus was conveying some pupils home and was at the Saint John by Ogbogoro road in Port Harcourt, when it went up in flames. 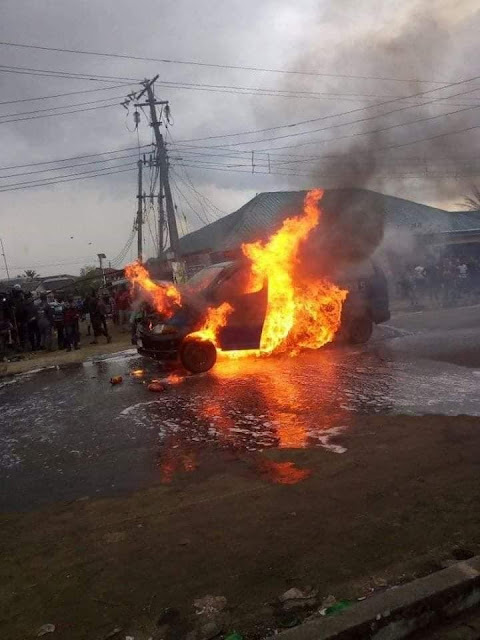 Good Nigerians around evacuated the kids before the fire intensified.